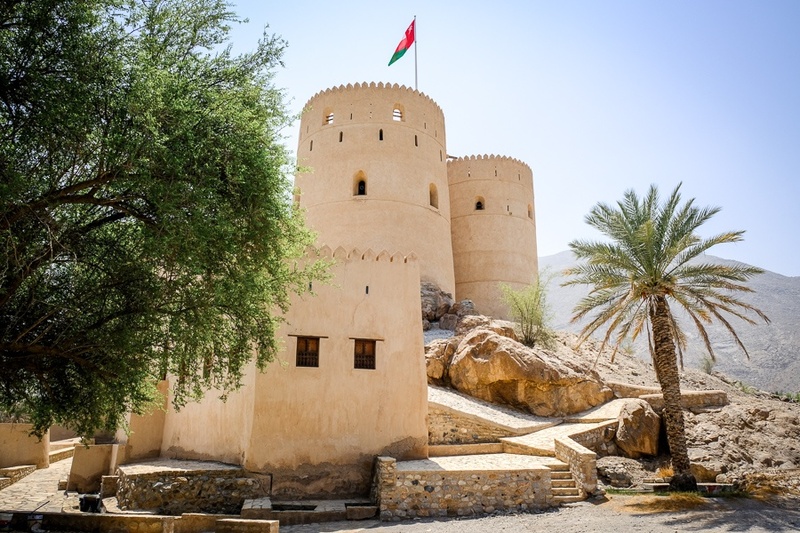 No trip to Oman would be complete without a visit to the 13th century Al Rustaq Fort. This is one of the largest and most well known forts in the country, and I think it’s also one of the most impressive looking. The fort has 3 floors, complete with a weapons room, mosque, prison, and four 65 foot tall towers. It’s well worth a climb to the top of the fort! You get an amazing view in all directions. The fort is in Rustaq, about 80 miles (130 km) from Muscat. There’s an entry fee of 0.5 Omani Rials ($1.30 USD), but this only applies if you come here without a tour. The fort is open Saturday to Thursday from 9AM-4PM, and Fridays from 8AM-11AM.